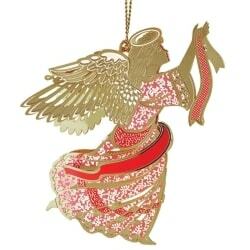 Brilliant Angel Ornament. Our Christmas collection celebrates the joyful spirit and tradition of the holidays. Create new memories with these beautifully hand crafted ornaments made 100% in the USA from the finest materials and packaged in an elegant gift box.